Some of the most powerful medicines on the planet are masquerading around as foods and spices. While they do not lend themselves to being patented, nor will multi-billion dollar human clinical trials ever be funded to prove them efficacious, they have been used since time immemorial to both nourish our bodies, and to prevent and treat disease. Globally, great fear has been generated by the CDC Director's recent description of a "Nightmare Bacteria" resistant to all medications, capable of kill 1 in every 2 people whose blood becomes infected with it. But isn't the primary problem that the drugs aren't working, and that natural medical solutions are needed now more than ever? Garlic is widely used as a spice, but few realize how powerful a healing agent it is for cardiovascular disease, the #1 cause of death in industrialized societies. Indian tribesmen, particularly in Patalkot valley of Central India, perform traditional ways of treating childhood upper respiratory issues through the means of herbs. According to them, the formulations they apply to treat these disorders are safe and non-toxic for the infants and children. The fast paced urban life has resulted series of disorders and sciatica is one such disorder among many other. People with job of prolonged sitting and sedentary lifestyle are more prone to develop sciatica than those who are active and living with a set biological clock. Herbal healers (Bhumka) in Patalkot valley of India employ certain herbs for coping with sciatica. This article brings information about 5 wonder therapeutic herbs considered for taking care of sciatica. Can coconut oil boost your metabolism and brain function, increase your immune health and reduce fever? Here are over 50 more coconut oil benefits backed by science. H. pylori infection is often treated with three drugs simultaneously, but not everyone responds favorably. Thankfully there are clinically confirmed natural, food-based alternatives. Garlic kills yeast. Those who bake bread know not to add garlic while the dough is rising or it will kill the yeast. Instead, garlic is added to the dough after it has risen, just before baking it in the oven. Many individuals with cystic fibrosis have difficulty with lung infections developing into pneumonia, especially Pseudomonas. Many plant materials are being researched for their therapeutic value for our immune and lung health. Here are 43 natural substances that have been researched to possibly improve the lung status of people with cystic fibrosis. Hypertension affects about 30% of adults worldwide. While most people try to cut back on salt to lower their pressure, a better strategy may be to add these healthy foods to the menu. There are several herbal and folk remedies available for curing acne or pimple. This article deals with 11 important herbs and formulations based on tribal's traditional herbal practices. Our modern world is a difficult place to maintain a healthful balance. Ginger is, hands down, one of the most broadly therapeutic and familiar plant allies available to us to prevent and even reverse a wide range of ailments, with the science supporting its safety and efficacy one of the most robust. Heart disease while still the #1 cause of mortality in the developed world, can be prevented and even reversed disease with nutrition, according to a growing body of scientific research. Are Natural Treatments for Common Warts Better Than Conventional Treatments? When warts appear, these natural treatments and nutritional therapies help boost the immune system with a nutrient-dense diet, targeted supplements and lifestyle changes that are effective and safe in treating warts. We normally don't think much about it, but sulfur is a hugely important nutrient for the body, and when we lack this critical substance, we may be paying for it with the health of our hearts. 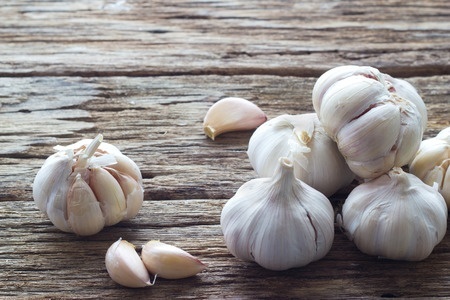 In a groundbreaking new study, garlic compared favorably to the blockbuster blood pressure medication atenolol in lowering blood pressure in subjects with hypertension. Hundreds of drugs contribute to liver toxicity even when used in correct doses. Chinese medicine suggests the tiny sesame seed and its oil may protect the liver from damage. Plant products have historically been consumed and utilized for their anti-microbial and health boosting benefits. Many plant materials are being researched for their therapeutic value for our immune health. Here are 36 natural substances which have been studied to support our body's immune system to heal itself! Herbs and spices may be Mother Nature’s way of saving us from ourselves. Fighting infection with conventional antibiotics is becoming a hopeless affair. The CDC recently warned these drugs are useless in combatting deadly “super germs.” So what can one do? Your kitchen holds the key. Given what we are now exposed to through our food, air, and water, detoxification has become a modern-day necessity. Without the daily activation of ancient, effective physiological pathways designed to remove environmental toxins, we are bound to get sick. So, what are some simple, effective ways we rid our body of its daily toxic burden?